Image 1. 8 steps to start playing Black Jack. 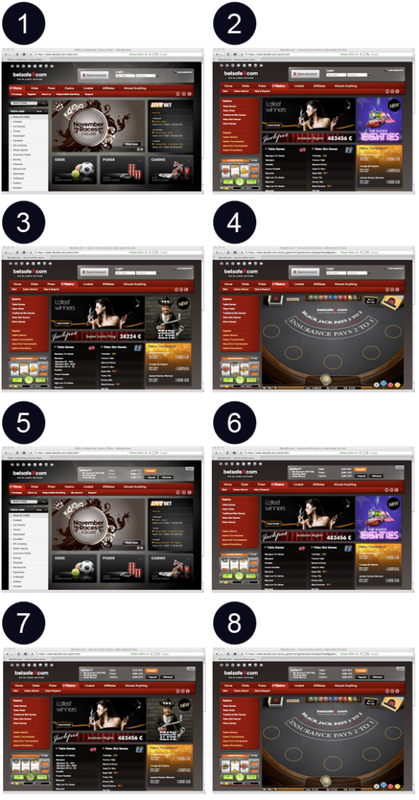 This week’s redesign is just one quick and fast design implementation to Betsafe’s gaming portal. My design advice to Betsafe is, Let players stay on the same page after logging in! Today players are redirected back to the start page when they log in . 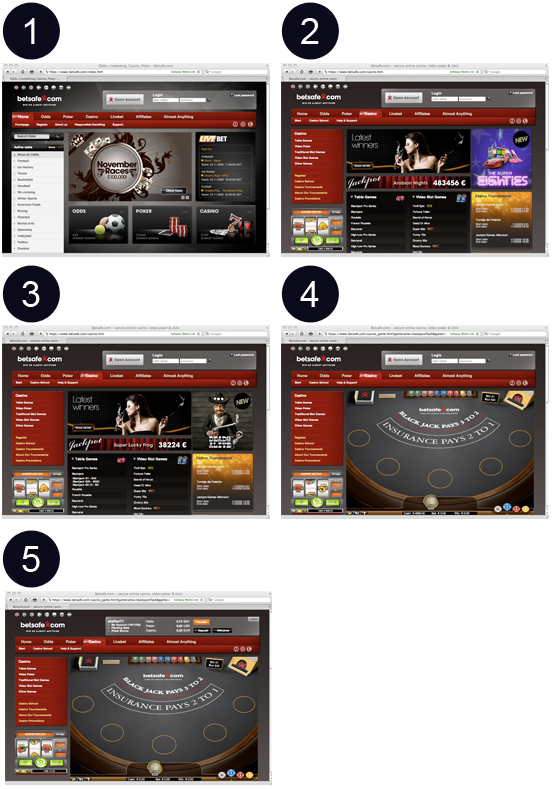 In image 1 you see the steps for a player going to a Black Jack game without signing in. Then the player signs in and is redirected back to the start page and have to find the game again. This is an 8 step process. We can remove three of the steps by letting the player stay on the same page after logging in. Image 2. Steps when you let the player stay on the same page after logging in. This will make it easier for the player to start playing and they will start playing faster! ps. Don’t forget to sign up for the UXiGaming Newsletter ds.